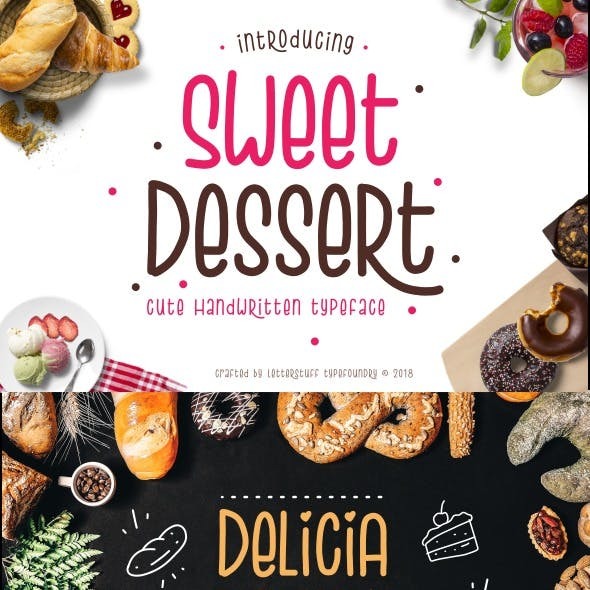 Download Sweet Dessert font for free. Sweet Dessert is a font / typeface offered for free. please note that if the license offered here is non-commercial you have to obtain a commercial use license / permit from the original author. Hello, your Sweet Dessert is coming ! A handmade handwritten typeface with cute style. This playfull sans-serif will look so good on your invites, cards, tshirt and any other fun projects you are working on. If the Sweet Dessert font is offered under 'commercial use free' or 'creative common' license, feel free to use Sweet Dessert font for any purpose.